Zinnnng! I just zapped you with outrageous neon colours. No, I didn’t. 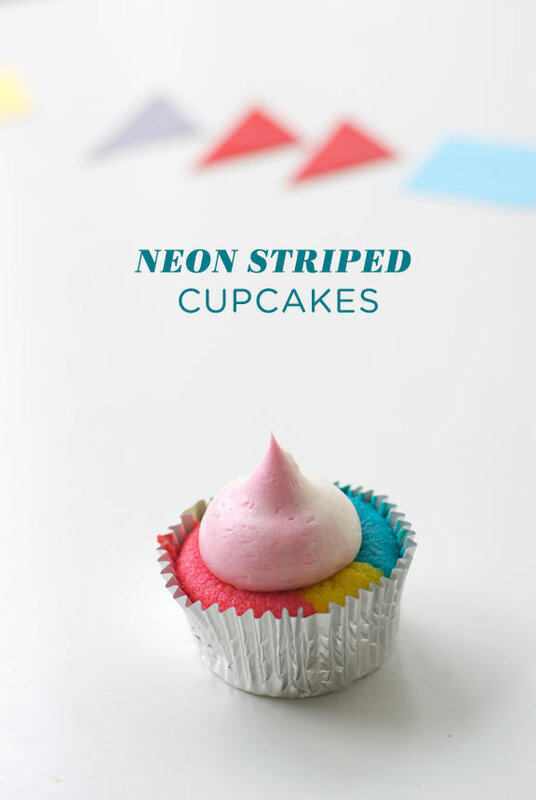 But I did create these neon striped cupcakes for you. They are cute and not really that outrageous at all. 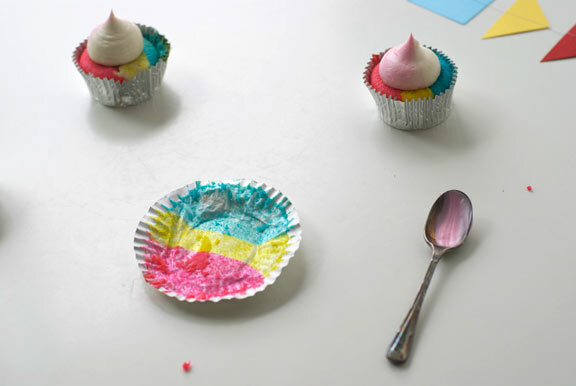 If I had piled on neon buttercream and a bunch of neon fondant doo-nads on top of each one and then dipped the whole shebang into a bucket load of rainbow sprinkles, that might be outrageous. 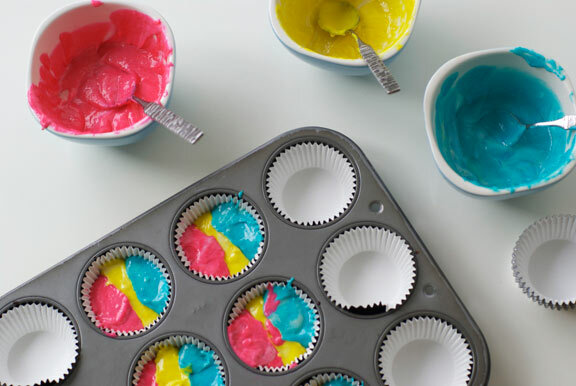 These are more… subtly neon! 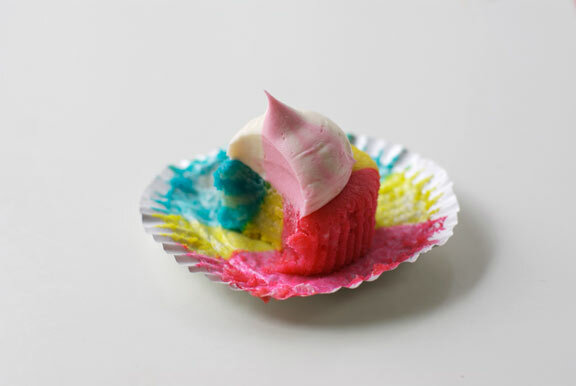 Perfect for an 80s themed party, a circus themed party, a primary colours party, a tight and bright party, a Pride party… oh, the list goes on. 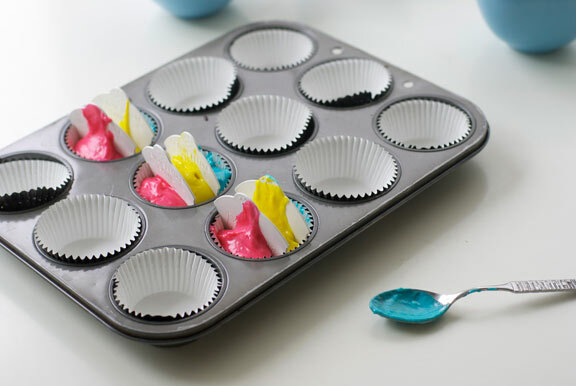 I used these cute little cupcake separator thingies that worked pretty well! 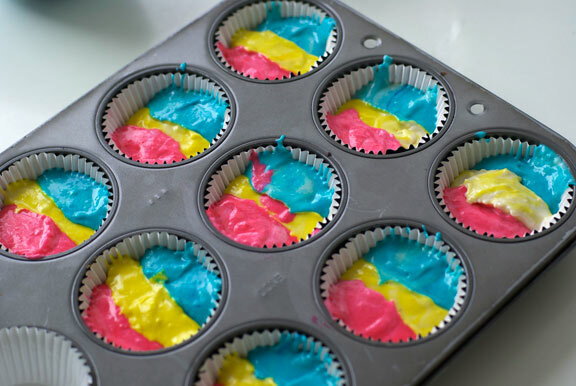 They are made of food safe plastic and they nestle into your cupcake liner so you can pour the batter in stripes. Neat, right? 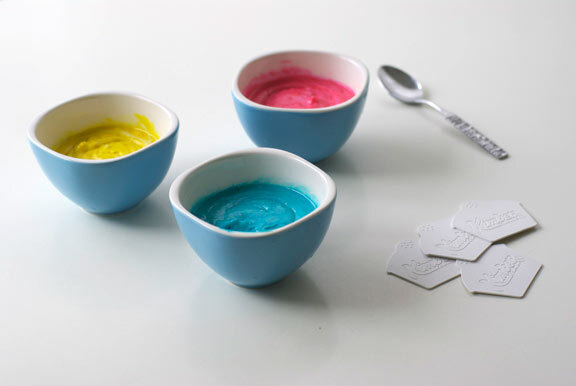 You can find a link to the batter separators, called Batter Babies by Kimberware, here. Happy stripey times, cake pals! 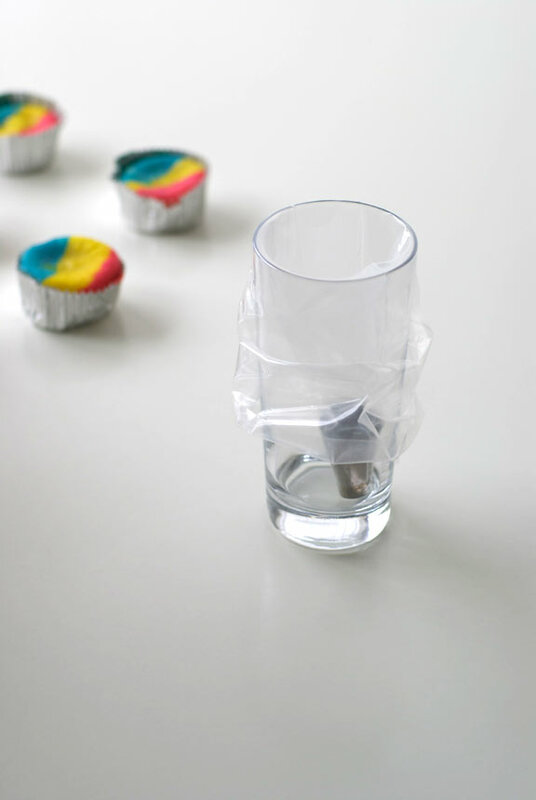 cupcakes, photos and styling by Lyndsay Sung. Thank you Kimberware for sending me the batter babies! This is so vibrant and fun. Love it! I love my stripes. 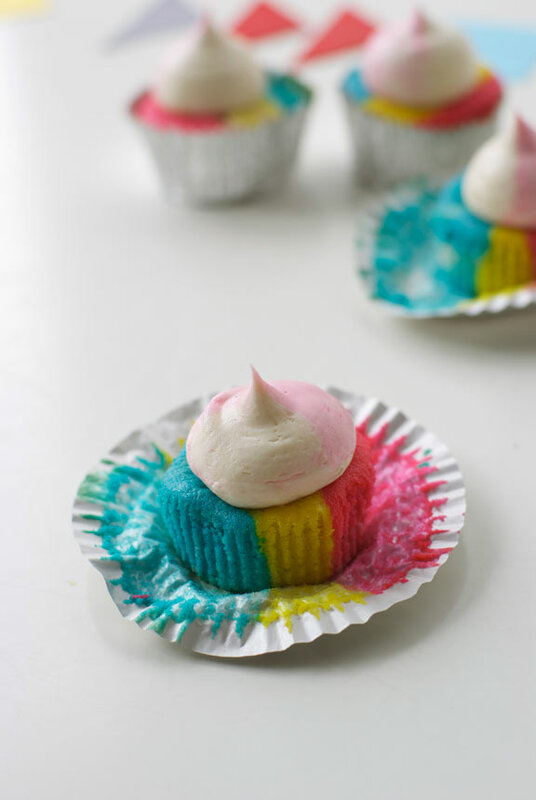 Didn’t think they could be done in a cupcake! 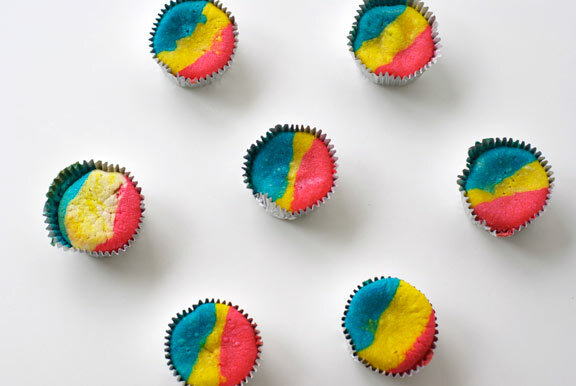 Fantastic cupcakes! I adore the stripes, especially how vibrant they are…thanks for showing us how it’s done, Lyndsay! Such a cute tutorial! Totally shared it on twitter. Wonder if it will work with veg. based colorings (like beet juice). hi renee! thanks so much for sharing my post! 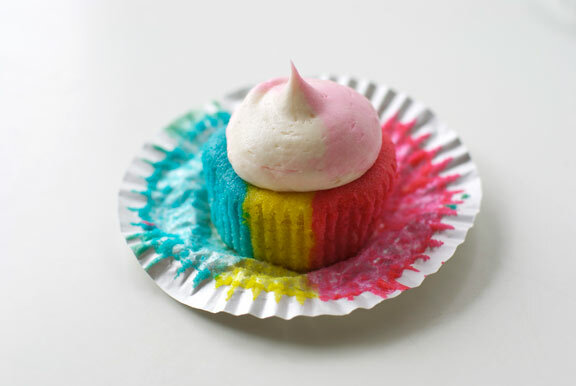 i think it would look really cute with beet juice and other more natural colourings! ^__^ give it a try! !